Bead measures 7mm wide and 10mm in diameter. Charm Measures 6mm wide and 8mm long. 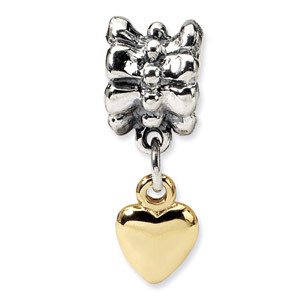 We guarantee our Sterling Silver & 14K Gold Heart Dangle Bead to be high quality, authentic bead jewelry, as described above.